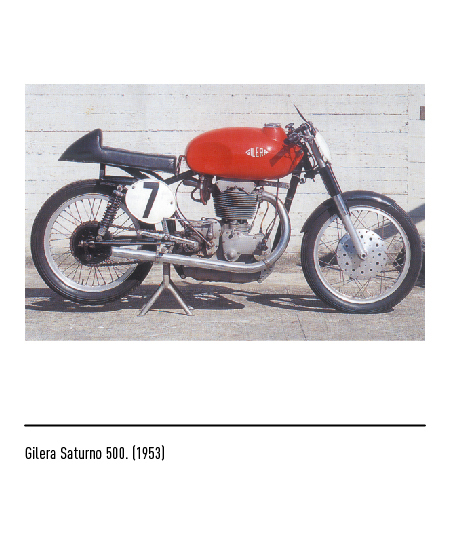 This motorcycle manufacturing firm was established in Milan in 1909 by Giuseppe Gellera. 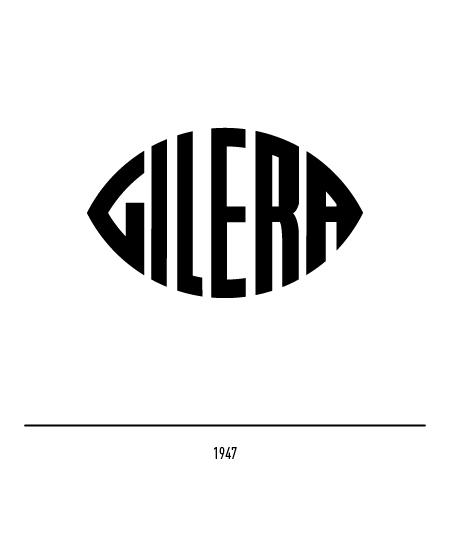 Not fond of his name, though, the founder was to change it to Gilera by deed poll in 1939. 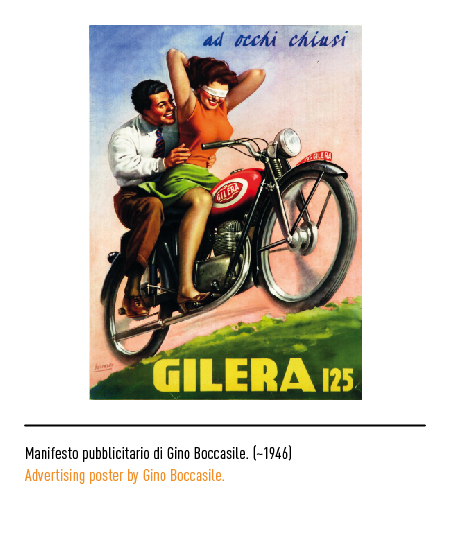 Actually, it was already some time that he had been calling his motorcycles by the name "Moto Gilera". 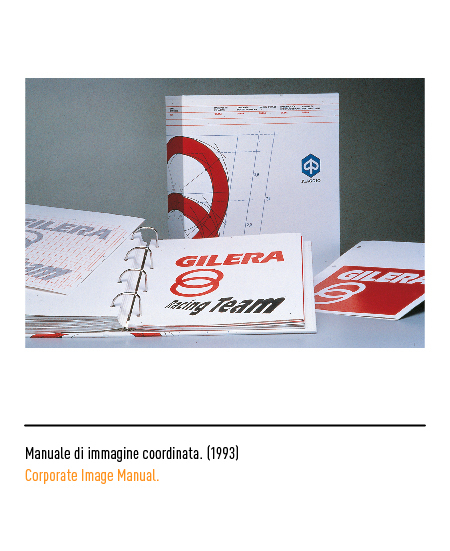 Starting out as little more than a well-equipped workshop, the firm grew considerably. 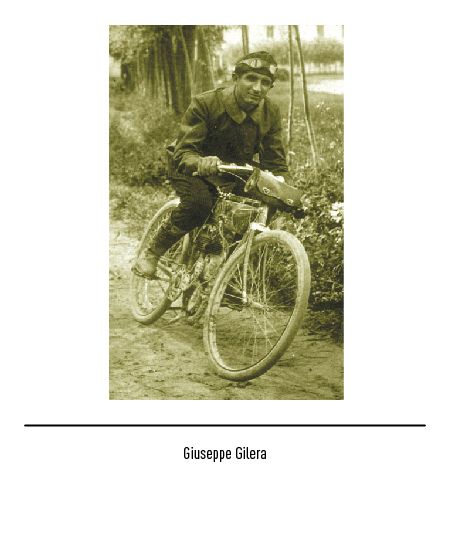 So much so that in 1925 a large factory was opened at Arcore close to Milan to cater to increasing demand on the domestic market as well as from abroad. 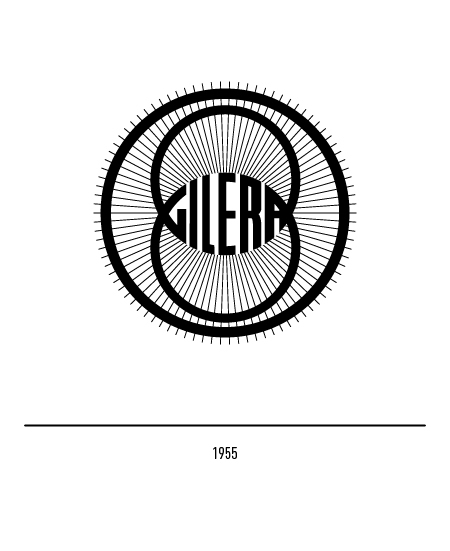 The first trade-mark came out in 1926 clearly influenced by the art nouveau style. 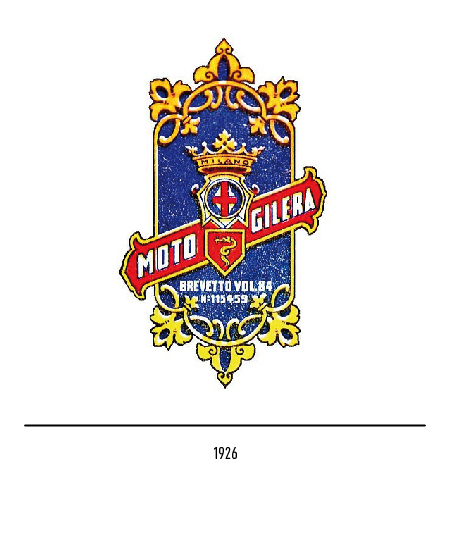 The name of the company, "Moto Gilera", appeared together with the two typical symbols of Milan: the serpent of the ancient coat-of-arms of the Visconti family and the red cross. 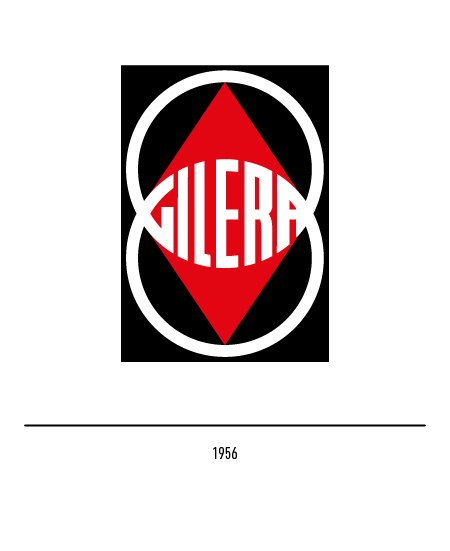 The racing victories and records set over the following years promptly appeared in the next trade-mark designed in 1934. 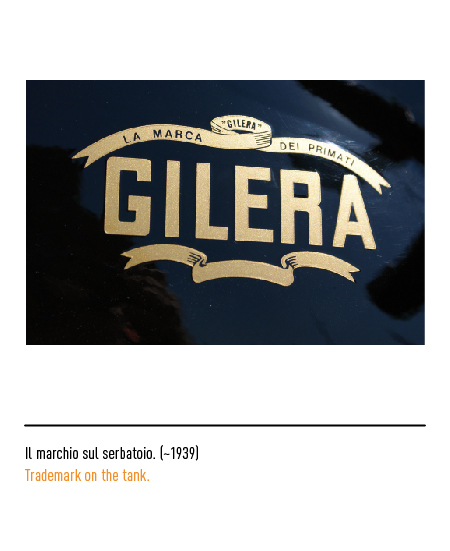 Only the word "Gilera" was used this time adorned by flourishes and the slogan "la marca dei primati" ("the record-making marque"). 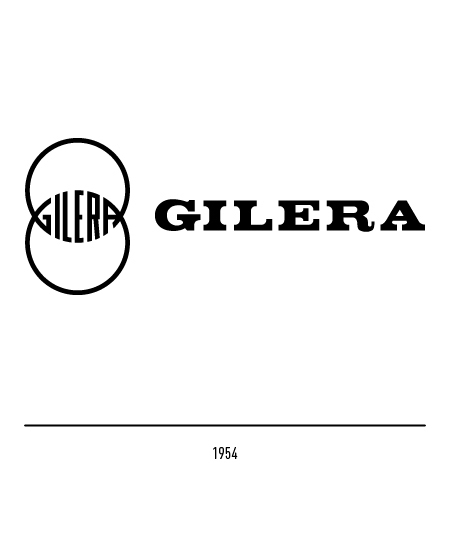 In 1947 the name was shaped like a pointed oval but was changed once again in 1954 when it was printed inside the intersection of two circles, a clear reference to the world of two wheels. In 1956 it appeared with an inscribed rhombus and the house colours red and black. 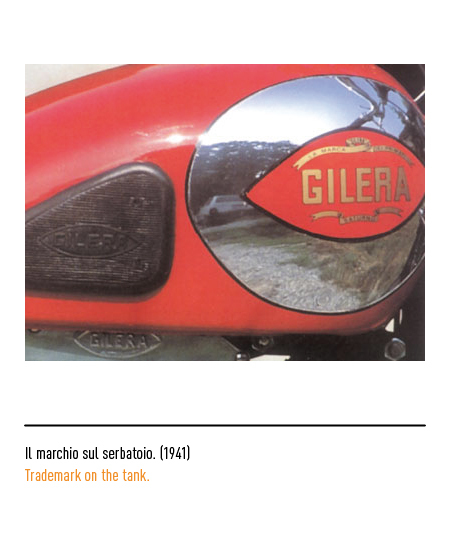 Hard hit like other Italian motorcycle manufacturers by a slump in demand, in 1969 the company was taken over by Piaggio. 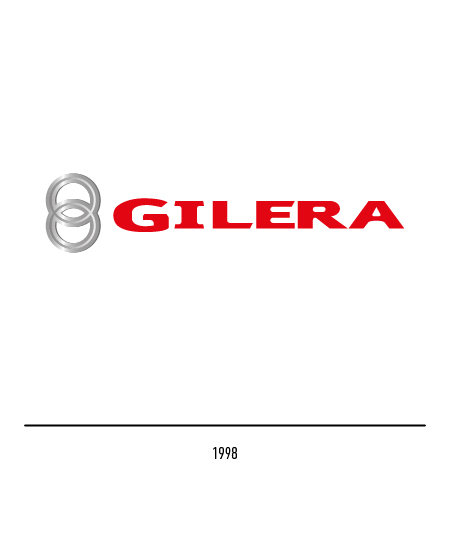 In 1993 with production relocated down to Pontedera near Pisa, Andrea Brunazzi redesigned the twin-ring trade-mark. 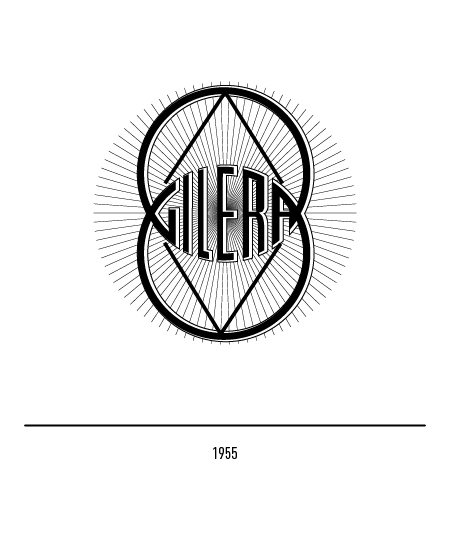 The two slightly overlapping circles were retained but the rest was radically revised. 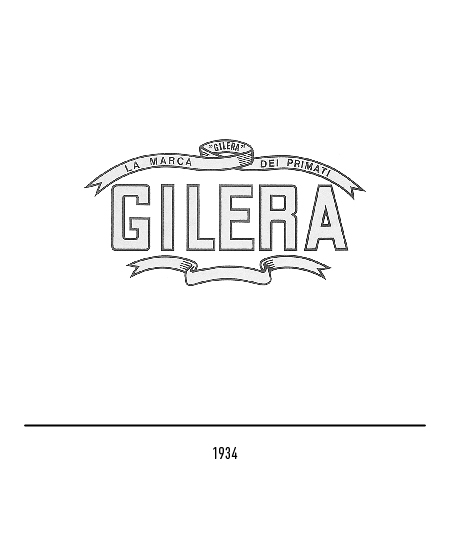 The Eras-style lettering of the logotype is more full-bodied and tilting has conferred dynamism to the composition with a clear reference to speed. 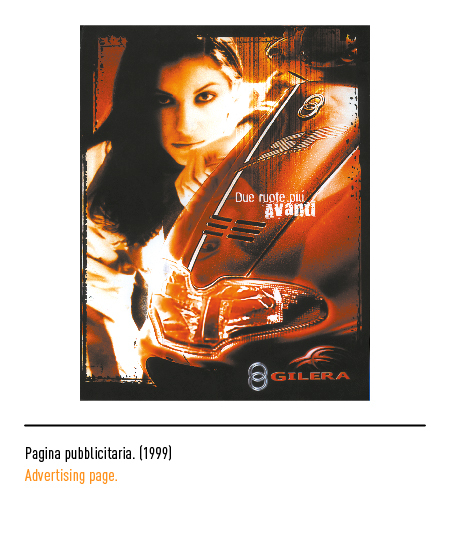 In 1998 the trade-mark underwent further restyling to bring it into line with the communications potential of latest media. 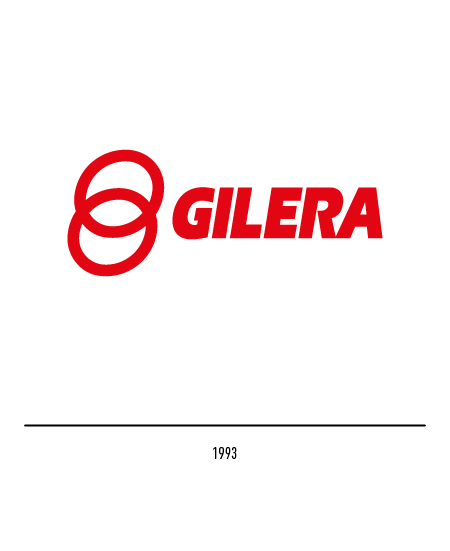 The changes included the addition of a chiaroscuro effect, new extended lettering, and an orthogonal, that is non-tilting, pattern. 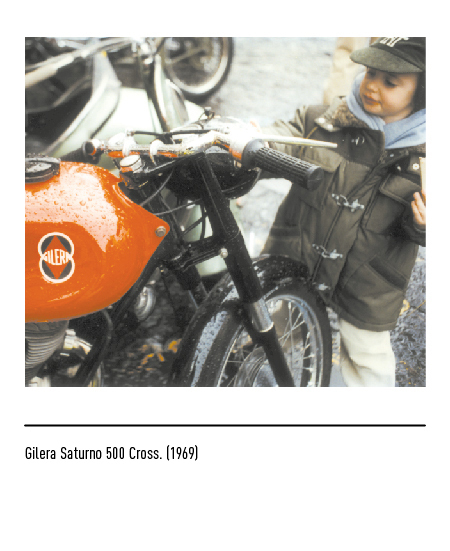 Roberto Leardi, GILERA, Polo Books, Roma, 1988.